Addressing the concerns related to skipping intelligence briefings, Donald Trump recently told Chris Wallace of 'Fox News Sunday,' in part, "I'm, like, a smart person. I don't have to be told the same thing in the same words every single day for the next eight years...I don't need that. But I do say, 'If something should change, let us know.'" 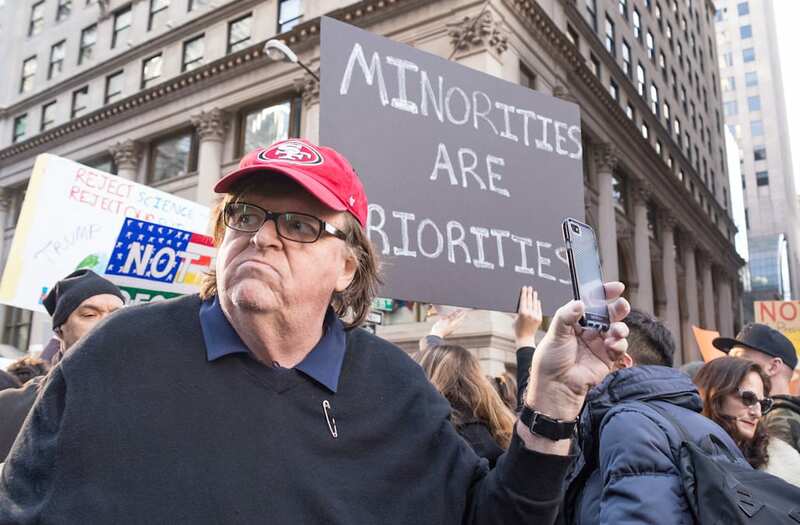 In response to that seemingly cavalier attitude on national security, Michael Moore posted an essay to Facebook on Tuesday. It is titled, "Donald Trump Is Gonna Get Us Killed." Moore writes, "Most would agree the #1 job of the leader of any country is to keep its people safe...That Trump would find it too cumbersome or too annoying to have to sit through 20 minutes of listening to his top intelligence people tell him who's trying to kill us today, simply boggles the mind." He further notes, "He can get up at 5 in the morning and send angry, childish tweets...but he doesn't have time to hear about the threats to our national security." Moore warns, "...when the next terrorist attack happens — and it will happen...and after the tragedy is over...you will see Donald Trump acting quickly to blame everyone but himself...the first Commander-in-Chief to literally be AWOL and announcing proudly he isn't going to change — this, I assure you, is going to get a lot of innocent people killed." As example of the dangers that can befall the nation when the president isn't devoting full attention to threats, Moore recalls that a vacationing George W. Bush was, in early August of 2001, presented with a security briefing headlined, "BIN LADENDETERMINED TO STRIKE INSIDE U.S."
Says Moore, "George W. Bush didn't leave the ranch to go back to work for the next four weeks. In the fifth week, bin Laden attacked the US with planes on September 11th."